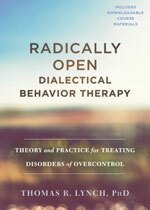 Radical Open- Dialectic Behaviour Therapy evolved from DBT specifically to assist those clients with over control issues. Whereas, standard DBT was designed for clients who struggle with under control, such as those who meet criteria for borderline personality disorder, the target population for RO-DBT are individuals with over control issues such as chronic depression, obsessive compulsive disorder, avoidant personality disorder, or anorexia nervosa. Whereas standard DBT focuses on intra-personal issues such as emotional regulation, impulse control and distress tolerance; RO-DBT focuses on inter-personal dynamics, such as social connectiveness and social signalling. There is accumulating evidence that RO-DBT is effective for anorexia nervosa and chronic depression and there are several research trials underway to assess its effectiveness with other disorders (for a snap shot of this research see selected references at the bottom of this page). Further information about on the research on radically Open Therapy can be found here. 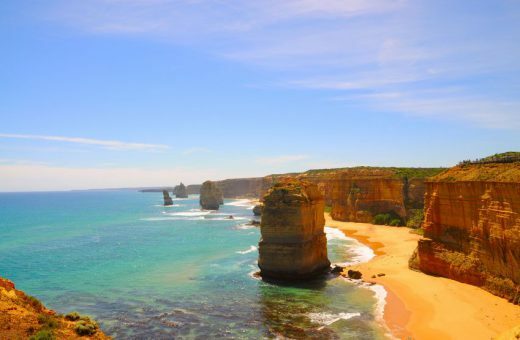 The aim of this Workshop is to introduce clinicians to what is RO-DBT, some of the underpinning theory, the difference between RO and standard DBT and some of the new skills underlying Radically Open-Dialectical Behaviour Therapy. The ability to inhibit competing urges, impulses, or behaviours is highly valued by most societies. However, excessive self-control has been linked to social isolation, aloof interpersonal functioning, maladaptive perfectionism, constricted emotional expressions, and difficult-to-treat mental health problems, such as anorexia nervosa, obsessive compulsive personality disorder and chronic depression. Using a variety of media, innovative assessment and treatment interventions will be explained including 1) how to assess for over-control 2) targeting social signaling as the key mechanism of change 3) how to describe the treatment structure 4) teaching new skills for clients to overcome these difficulties.